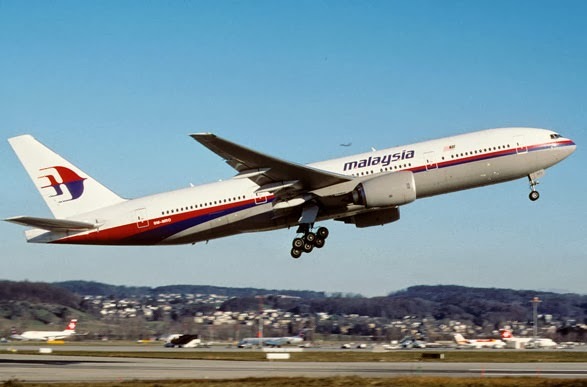 00:41 local time on March 8 2014, Malaysia Airlines flight MH 370 serve by Boeing 777-2H7 ER 9M-MRO, msn 28420 departed Kuala Lumpur to Beijing, China. The flight has gone missing, radar contact was lost with the aircraft near Vietnam airspace over water (Gulf of Thailand). The aircraft was last reported to be flying at 35,000 feet. There was no communication from the crew about any problem. The Boeing 777 aircraft, carrying 239 people on board, over half the passenger from China. Currently the rescue teams and Vietnamese Navy searching for the aircraft, However no debris has been located. Today January 6 2014, will be for the last time McDonnell Douglas DC-9 Delta Air Lines on the sky, this as planned and previously announced. 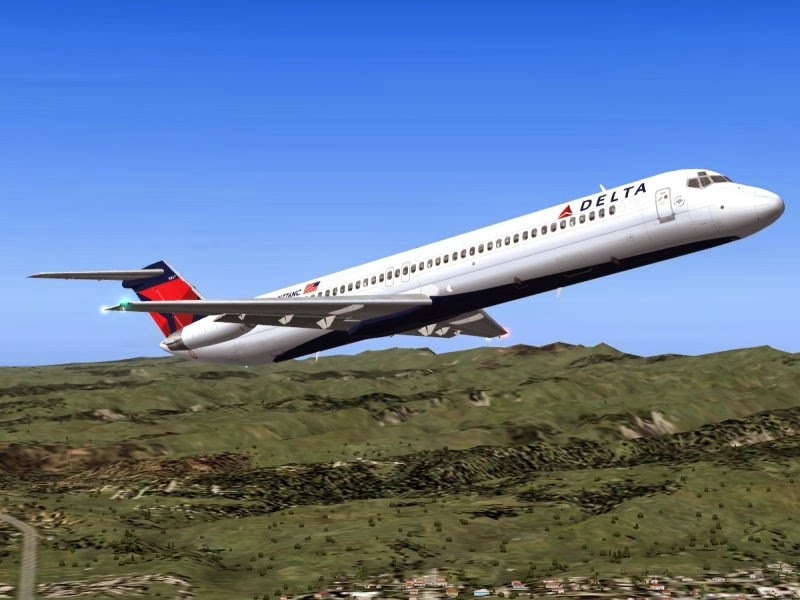 Delta Air Lines will replace DC-9 flight with new Boeing 717. Delta will expanding the number of routes served by the new Boeing 717. On April 1, on this year, for first time Delta introducing the new Boeing 717 to serve routes between Atlanta, Augusta, Chicago. October 13 Dallas, April 1 Fayetteville and Houston. January 2, 2012 Toulouse, France Airbus rolled-out its third A350 XWB flight-test aircraft (msn 002) from the paint shop in Toulouse. A350 XWB is the new type is expected to enter service in the fourth quarter of this year. And the third A350 XWB has a distinctive “Carbon” signature livery to reflect its primary construction from advanced materials on this plane, also the first of two A350 flight test aircraft to be equipped with a full passenger cabin interior. Airbus have develop 30 years of composite material experience, Airbus already applying composite material on the A310, which was first rolled-out in February 1982. 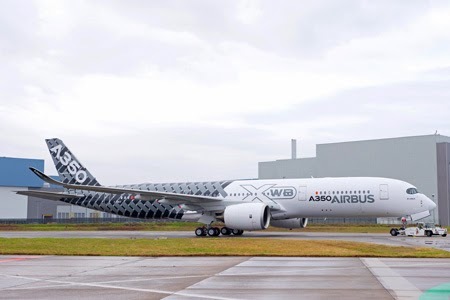 Airbus have seen a step-by-step for develop the best composite material which will be used on A350 XWB, 53% of the A350 XWB’s airframe is made-up of carbon-fiber reinforced polymer (CFRP) including Airbus’ first carbon-fiber fuselage. 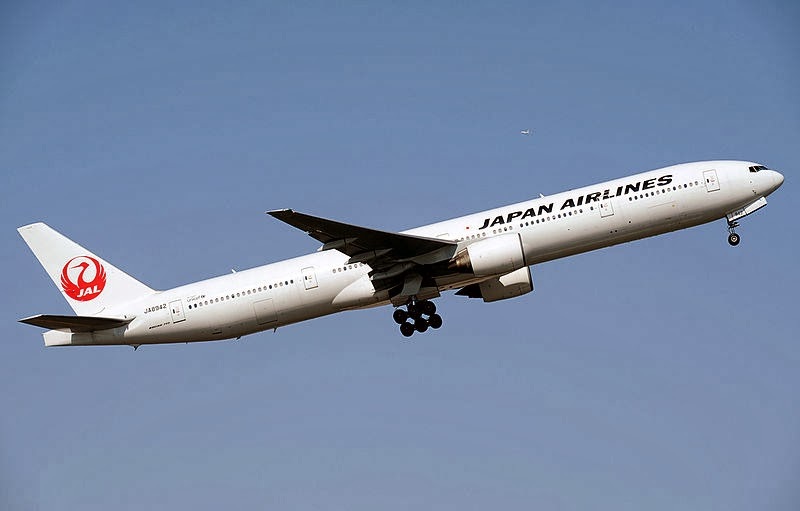 Start from January 20, 2014 JAL, Japan Airlines to launch “JAL Sky Suite 777″ service to Chicago O’Hare from Tokyo (Narita). 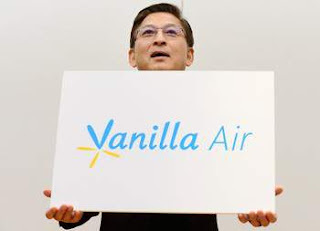 And then for next step, turn on Narita-Frankfurt service starting in April 2014. Currently "JAL Sky Suite 777" already serve on Tokyo (Narita) - London (Heathrow), Tokyo (Narita) - New York (JFK), Tokyo (Narita) - Paris (CDG) and Tokyo (Narita) - Los Angeles. 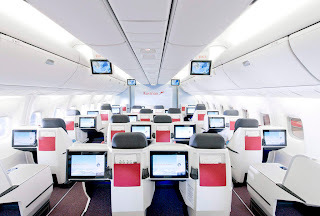 The new Boeing 777 Sky Suite service is upgrade level of service, 13 of 232-seat Boeing 777-300 ER aircraft have modifying to this new level of service. 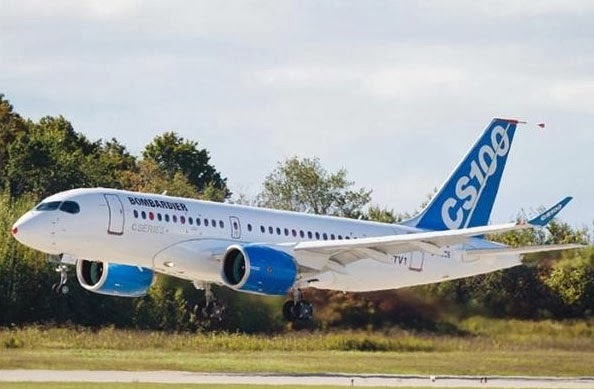 Montreal Canada, Bombardier Aerospace has announced that the first CSeries 100 aircraft, (FTV1 Flight Test Vehicle 1) has successfully obtained Transport Canada’s Flight Test Permit, thereby clearing the way for its maiden flight, expected in the coming weeks. Specification Designed for up tu 100 passenger seater aircraft market, exactly 149 seat, the 100 per cent new CSeries aircraft family combines advanced materials, leading-edge technology and proven methods to meet commercial airline requirements. Powered by Pratt & Whitney PurePower PW1500G engines, the CSeries aircraft family will offer a 15 percent cash operating cost advantage and a 20 percent fuel burn advantage. 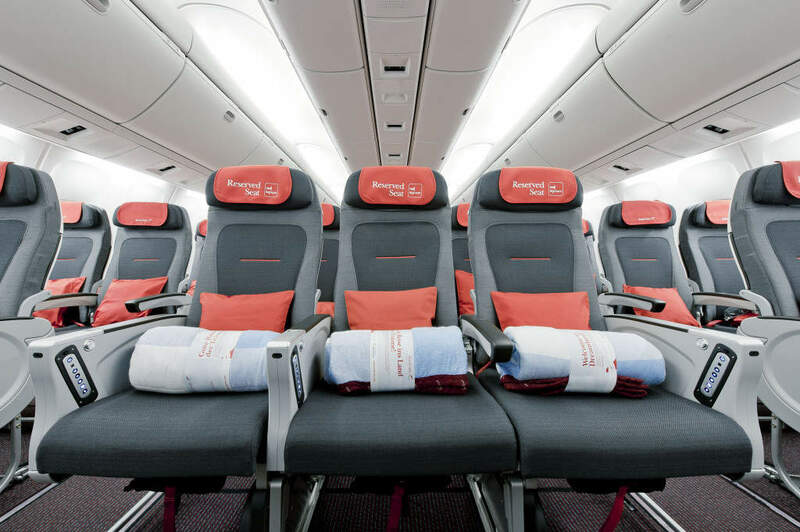 With the extra capacity seating option, the CS300 aircraft’s productivity further improves, offering airlines an average of four percent additional cash operating cost advantage per seat. The CSeries aircraft’s clean-sheet design is ensuring that the aircraft will achieve greatly reduced noise and emissions, as well as superior operational flexibility, exceptional airfield performance and a range of 2,950 nm (5,463 km). The CSeries aircraft will be up to 12,000 lbs. (5,443 kg) lighter than other aircraft in the same seat category and will provide passengers with a best-in-class, widebody cabin environment in a single-aisle aircraft. 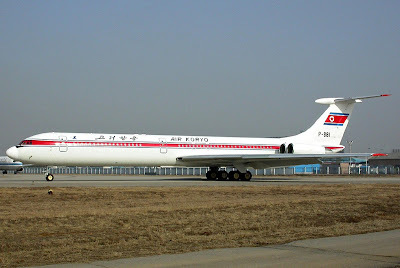 Air Koryo wants to expand to Southeast Asia and Europe. In addition, approved travel to North Korea will now be offered year round. Air Koryo is the state-owned national flag carrier airline of North Korea, headquartered in Sunan-guyŏk, Pyongyang has been limited in its operations mainly due to international sanctions against North Korea. but it was not to be an obstacle to running the government of North Korea is making “big efforts” to develop its tourism sector, with plans to open new flights to the capital Pyongyang and allow tourists to visit “all year round”. 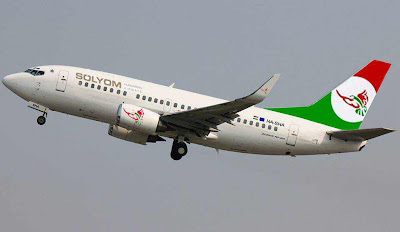 After getting funding support investors from Oman and the United Emirates, the new airline was born to replacing defunct MALEV Hungarian Airlines (1946 – 2012), the name is Solyom Hungarian Airways, Solyom means falcon. Solyom Hungarian Airways is the new Hungarian flag carrier base on Budapest Hungary. The carrier is expected to launch charter flights from early September and scheduled flights from early October 2013, according to company founder Jozsef Vago, who hopes to recover lost business after Malev Hungarian Airlines ceased operations in February 2012. Solyom Hungarian Airways takes delivery of its first Boeing 737-505, was leased from European Skybus on August 18 and is the first of six Boeing 737-500s. The airline expects to have 12 Boeing 737-500s by year end and 50 aircraft by 2017. The carrier wants to fly to 22 European destinations. No further network information is available. 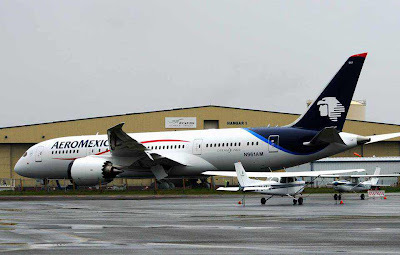 Today August 16, 2013, Boeing, US has delivered new Boeing 787-8 Dreamliner for AeroMexico, Mexico, the first aircraft of 9 aircraft's have been ordered at last year 2012. AeroMexico will operate 19 Dreamliners consists of 9 B787-8s, 10 B787-9s. From total 19 Dreamliners, 5 B787-8s lease from ILFC. 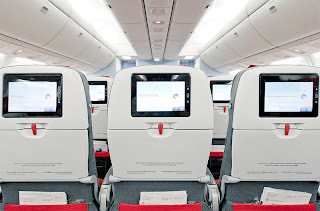 All Dreamliner AeroMexico’s will configure on 2 class, 32 Clase Premier lie-flat seats and 211 seats in economy class. 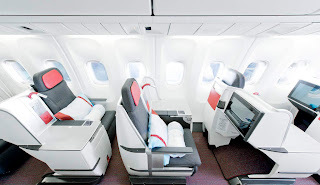 Happy for all passengers on Austrian’s long-haul flights, from now get have ready be trying to feel benefit from the advantages of its new cabin from this airline. Upgrade service for all class. New an advanced board entertainment system offering non-stop entertainment for all class. Economy Class, a new level of seating more comfort. 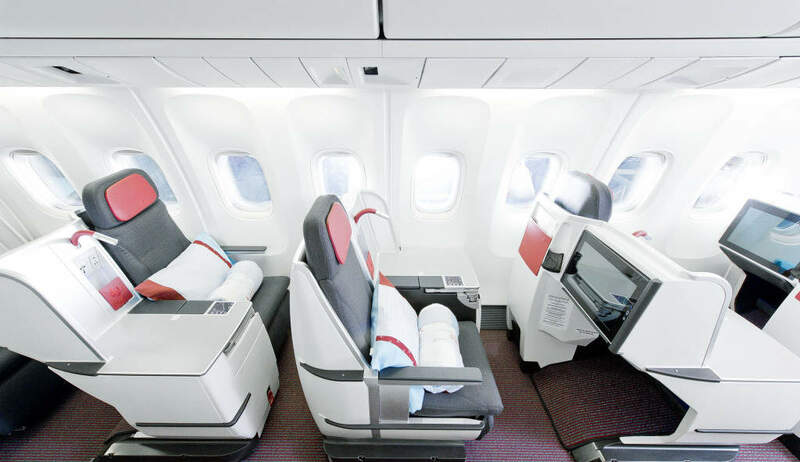 Business Class, New innovative seats capable of being transformed into entirely flat beds. Austrian’s long-haul fleet, the four Boeing 777 and six Boeing 767 airplanes already installed new seats have a total of 2,538 seats. 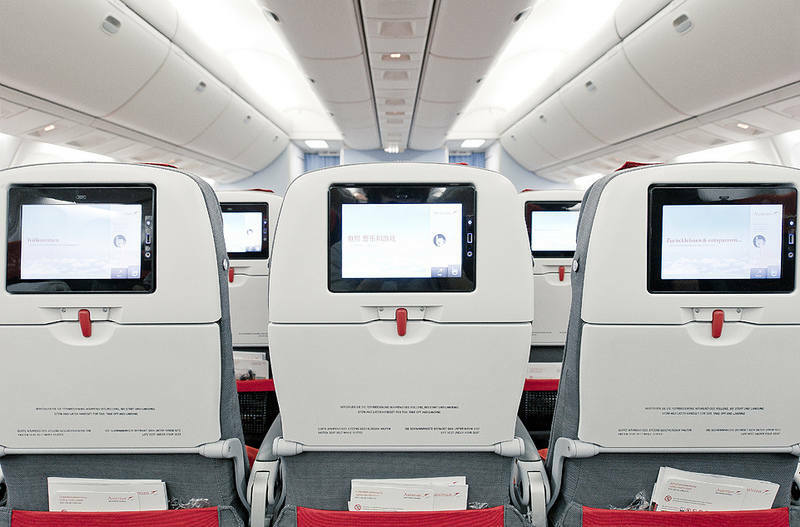 The reconfiguration of the cabins has considerably boosted customer satisfaction, which has risen substantial 31 percentage points – among passengers on long-haul flights – since the launch of the new cabin. 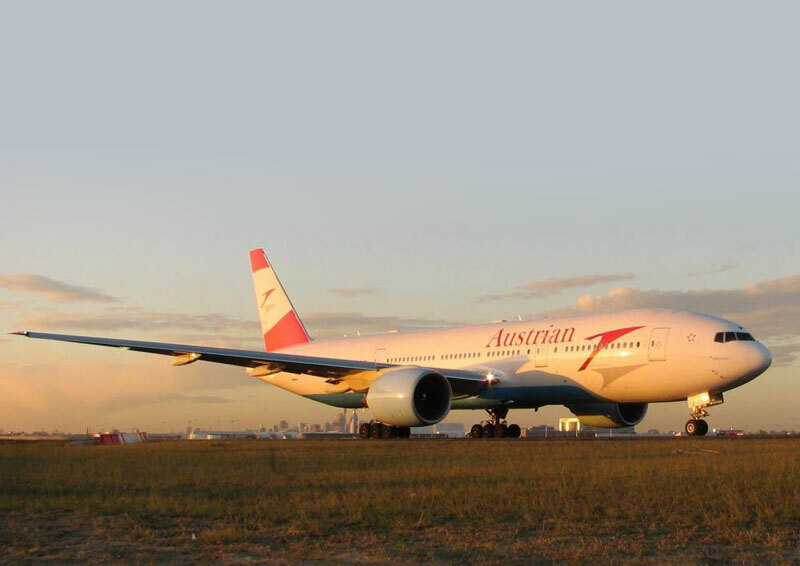 This result places Austrian Airlines among the peak of the evaluations received by the airlines comprising the world-spanning Star Alliance. 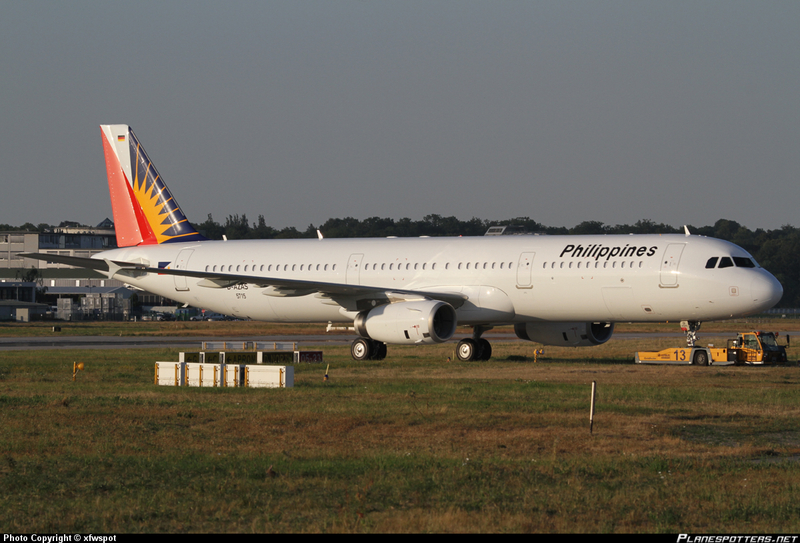 Philippine Airlines (PAL), Philippines has taken delivery of its first Airbus A321. This aircraft part of the modernization program from PAL. On 2012 the airline has order of 64 new Airbus aircraft consists of 44 A321s and 20 widebody A330s. 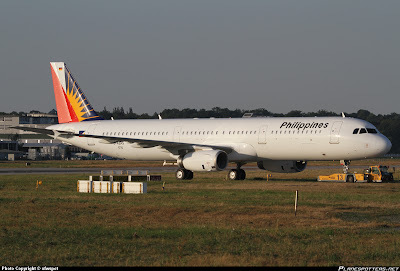 New Airbus A321 Philippine Airlines has configured on two class, with 12 seats in Business Class and 187 in Economy. New A321 will operate primarily on international routes on Asian region, and on selected domestic flights. Next on third quarter of this year Philippine Airlines will take delivery of the first of its 20 new wide body aircraft A330s. This aircraft will serve on new non-stop services to Europe, scheduled plan to begin next month. JetBlue Airways, US has opened reservations for new service by new Airbus A321 start from December 19. The first three routes will serve by new A321 is New York (JFK) - Fort Lauderdale/Hollywood, New York (JFK) - Barbados (Bridgetown) and New York (JFK) - San Juan per Airline Route. New Airbus A321 JetBlue Airways, fully customized lie-flat seat which will be available on highly popular transcontinental routes next year. Just as JetBlue reinvented coach service, the airline is committed to reinventing the transcontinental experience by adding service, comfort and amenities at an affordable price that is expected to stimulate market demand. 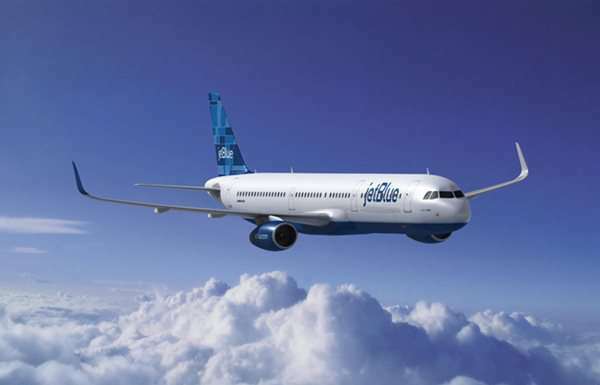 JetBlue’s new Airbus A321 aircraft begin arriving later this year and will have two configurations. The first four aircraft deliveries will offer the core JetBlue Experience throughout the cabin with capacity for 190 customers. In 2014 additional A321s will be delivered from the Airbus factory in Hamburg, Germany, with 16 lie-flat seats, four of which are the private suites, and 143 core JetBlue Experience seats. Operate by Airbus A321 aircraft. Operate by Airbus A319 aircraft. B61103/1104 does not operate on December 30, 2013 and December 31, 2013 from JFK. Planned Airbus A321 operation remains subject to change. Spirit Airlines, Inc. is an American ultra low-cost carrier start from October 24, 2013 will be moving its all operation at Phoenix Sky Harbor Airport (PHX) still on Phoenix area but difference Airport. Currently at Phoenix-Mesa Gateway Airport (AZA) and last day of operation at AZA is scheduled on October 24, 2013. Schedule in Winter 2013/14 season operates following routes from Phoenix Sky Harbor (PHX). Virgin Australia and Boeing will celebrate the delivery of the 100th 737 to this Australian airline. This is a great achievement for Virgin Australia which already has 70 Boeing 737-800 aircraft in its fleet. 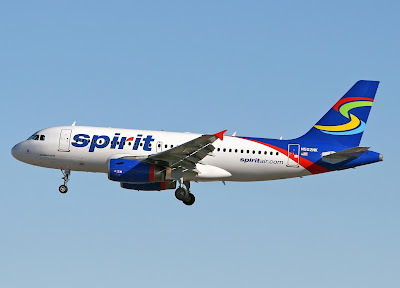 A total of 100 Boeing 737 aircrafts this includes older models, 737-300 and 737-400, which is operated by the airline in the past years as Virgin Blue and Boeing 737 aircraft has been a mainstay for the company to serve domestic and international routes. 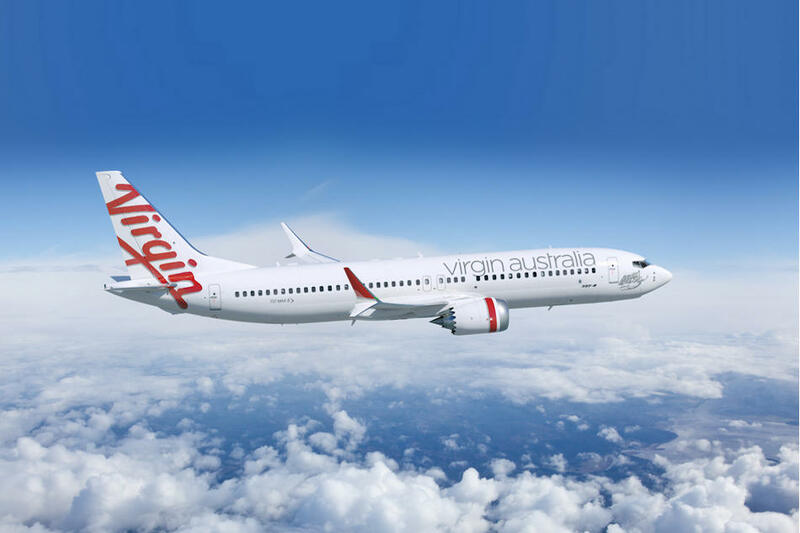 In addition to ordering the Boeing 737 Next Generation aircraft, Virgin Australia also has booked the latest model of the Boeing 737, the Boeing 737 MAX. The airline ordered 23 Boeing 737 MAX 8s with delivery scheduled between 2019-2021. The best airline in the world, Singapore Airlines, always improvement he's products. They currently operate a fleet of 102 aircraft which have an average age of less than 7 years and become one of the youngest and most fuel efficient fleets in the industry, but that doesn’t mean they can’t keep innovating. 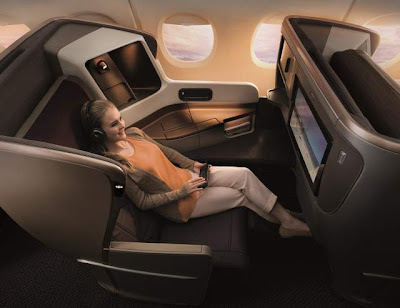 Singapore Airlines has been working with world-renowned design firms like BMW Group Designworks USA, James Park Associates and Massive Interactive to develop the airline’s First, Business & Economy classes as well as IFE system interface. The Next Generation Cabin project by BMW the estimate to take funds nearly $150 Million USD investment on an initial eight Boeing 777-300ER aircraft alone. The program will later be extended to the Airbus A350 XWB scheduled for delivery in the years to come. Currently Singapore Airlines, is proud to introduce their Next Generation of First, Business and Economy Cabin Products by KrisWorld. 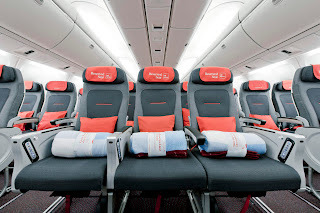 On September, for the first time the new cabin first generation products will be launched on select flights between Singapore and London service. Detail Next Generation of First, Business and Economy Cabin Products please read this. 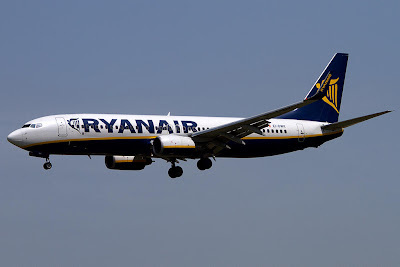 The biggest low-cost airlines in Europe from Ireland, Ryanair, have to find a way to save expenditure for the company. On this time the airline have instruction for the pilot to slow the speed of the aircraft for the reasons of saving fuel oil consumed on each flight. According to The Express, by reducing the speed of the aircraft, will be flying slower about two minutes for every one hour flight. "We fly more slowly, but burn less the fuel," said Howard Millar, Ryanair deputy CEO. As low-cost airlines, Ryanair is constantly looking for ways to continue to save expenses. 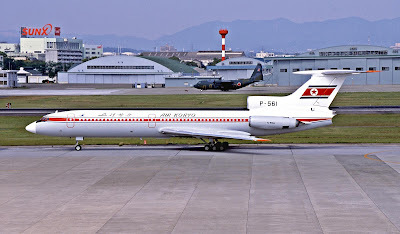 In fact, which the airline is often times tend to be controversial. Previously, Ryanair reduces toilet on board aircraft to ease the burden, so it will be more fuel efficient. Not only that, passengers have to pay money to be able to use a toilet that is in the Ryanair plane. 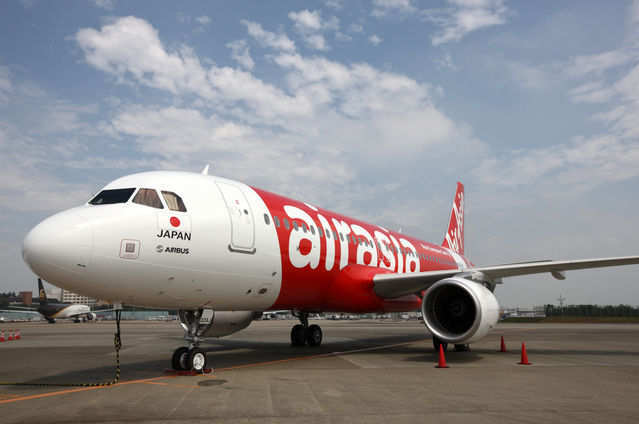 In addition, the company also implemented additional costs for passengers who want to choose a seat, came to the airport with no check-in in advance online, as well as costs for food and drinks. Private airline owned by businessman Chandra Lie, Sriwijaya Air, Indonesia, will likely retire older Boeing 737-200 aircraft as part of the modernization his fleet. Currently the company still has four Boeing 737-200 aircrafts. 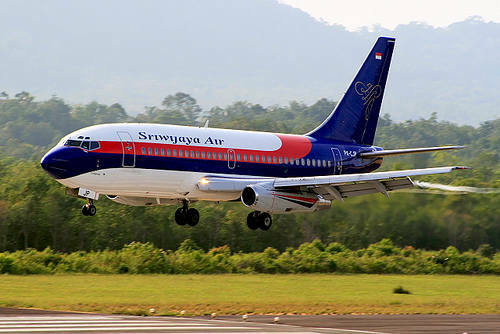 According to the plan, Sriwijaya Air will sell four aircraft a price of USD 750,000 per unit. Not only that, Sriwijaya Air promised to give 737-200 simulator as a bonus if the airline wants to bought at once four Boeing 737-200 aircrafts. Instead, Sriwijaya Air will bring nine Boeing 737-800 aircraft to update its fleet. Of nine, five aircrafts will be purchased on cash, while the other, four aircrafts will be brought in by way of lease. 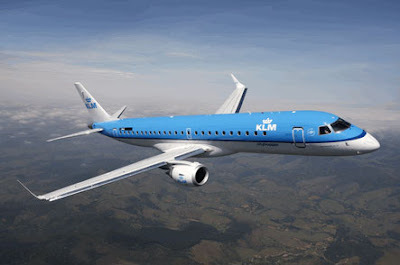 Amsterdam Netherlands - KLM Cityhopper, KLM’s regional subsidiary, has sign a lease agreement with BOC Aviation for six Embraer 190 aircrafts to join on his fleet. Currently KLM Cityhopper has already have 22 E-Jets on his fleet. The additional Embraer 190s are part of strategic plan to phase of modernization KLM Cityhopper's fleet. The new Embraer 190 will replace the oldest Fokker 70 aircraft fleet. The first of the six ERJ 190s is scheduled to be delivered during the second half of 2013. The six new Embraer 190 aircrafts will configured with 100 seats in a single-class layout. All of the Embraer 190 aircrafts will be deployed across KLM’s European network from Amsterdam’s Schiphol Airport. 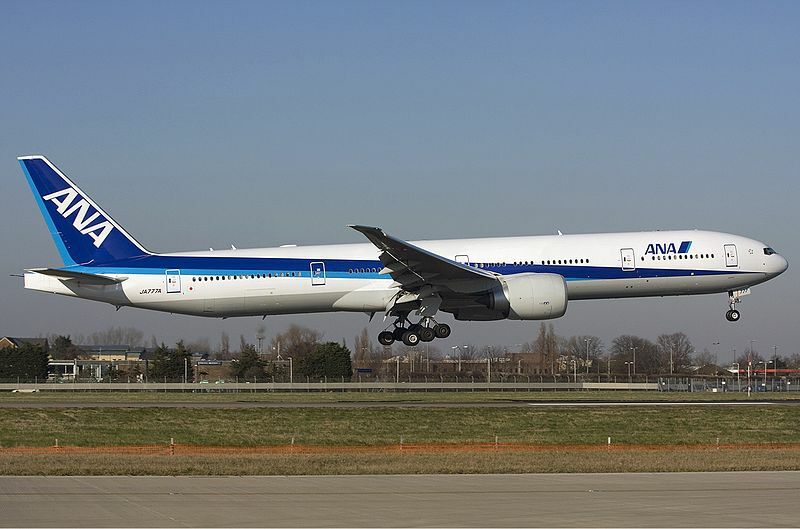 ANA (All Nippon AIrways) TokyoJapan and Boeing have announced ANA adds more three additional 777-300ER airplanes. The order, valued at approximately $945 million at current list prices, these orders will increase the total number of 777s in ANA’s fleet to 57 airplanes once delivered. Currently ANA have 26 Boeing 777-300s on the fleet. As the first airline in Japan, and one of the few global airlines being recognized as the highest 5-Star airline by SKYTRAX, ANA will continue to further enhance the services offer to the customers. New Boeing 777-300ER will be equipped with service, new bedding for long-haul flights – Ultimate in cabin comfortANA presents a new selection of bedding, using the latest innovative technologies that are the pride of Nishikawa Sangyo Co., Ltd., a leading Japanese manufacturer of bedding products since its founding in 1566. Montreal Canada, Bombardier has confirmed it will delay by some weeks the first flight of its CSeries regional commercial jet. The Bombardier said: “The highly technical last steps are taking more time than initially anticipated to validate the overall systems and ongoing software integration”. The aircraft’s twice-delayed first flight was expected by the end of July. 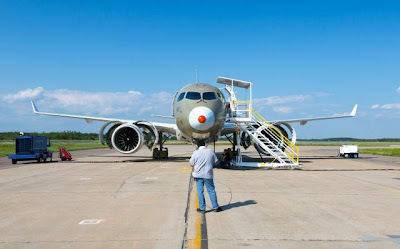 “While the process has taken more time than we had expected, we are pleased with the results and are very comfortable taking more time to ensure the required integration is finalized and the CSeries aircraft is cleared for its first flight,” explained Mike Arcamone, President of Bombardier Commercial Aircraft. In its final testing stage in preparation for first flight, FTV1 is undergoing pre-flight tests including on-ground simulated flight tests to ensure the first aircraft behaves as modeled. FTV1 was supposed to be flying by the end of July. That was the date given by Bombardier after the previous first flight date at the end of June slipped by a month. Last Wednesday was one week before the end of July, and Mike Arcamone, President, Bombardier Commercial Aircraft, made the announcement about the further delay. 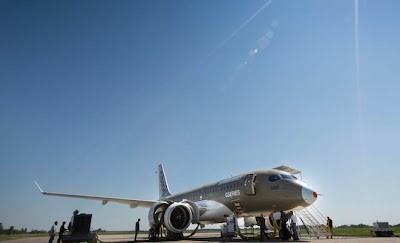 On July 24 integration of the CSeries aircraft’s auxiliary power unit and Pratt & Whitney PurePower Geared Turbofan PW1500G engines were successfully conducted, allowing for testing of the aircraft’s key systems. Bombardier also confirmed the latest software upgrades continue to be successfully completed. In the last week of June, Bombardier applied to the Canadian aviation regulator, Transport Canada, for permission to fly FTV1. The CSeries may be the most advanced commercial jetliner ever produced in Canada, so I wouldn’t be surprised if Transport Canada is taking their time with the evaluation. There’s still more engines runs, vibration testing, and low and high speed taxiing to be completed before FTV1 flies. Bombardier has booked orders and commitments for 388 CSeries aircraft, of which 177 are firm orders.